Stacy Schiff’s Salem book, The Witches, reviewed. Stacy Schiff’s history of the Salem witch trials. “Such was the darkness of that day, the tortures and the lamentations of the afflicted, and the power of former precedents, that we walked in the clouds, and could not see our way.” So wrote a minister affiliated with the Salem witch trials of 1692. He could be speaking as well for anyone who’s ever attempted a book-length nonfiction treatment of the tragedy. Novelists and playwrights—most notably Nathaniel Hawthorne (great-grandson of one of the trials’ magistrates) and Arthur Miller—have fared better. They have the license to invent, but more important in this case, also the license to trim. They can whittle down the nightmare of Salem into an indictment of Puritan rigidity or a parable of the paranoid groupthink that intermittently seizes American politics. The popular historian of the witch trials has a much tougher job. The latest to attempt it is Stacy Schiff, winner of the Pulitzer Prize and a purveyor of the sort of sleek, high-end narrative histories about celebrated individuals that make such excellent gifts for older relatives; her most recent book, Cleopatra: A Life, was a No. 1 best-seller. The appeal of applying Schiff’s talents to the witch trials is obvious. 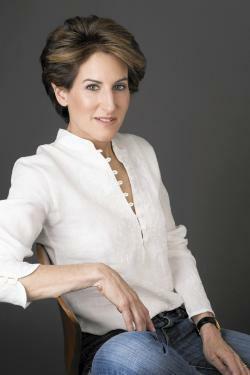 A former editor at Simon & Schuster, Schiff is a publishing industry veteran rather than a historian. She, surely, can be trusted to focus on the crowd-pleasing elements of the Salem crisis, rather than getting bogged down in the pettifoggery of historical accuracy. To be fair, it’s hard to keep track of all the players. By the end of the craze, as many as 185 people had been named as witches or wizards in 25 villages and towns. Some were arrested, released and arrested again. Fifty-five people confessed, spinning demented but repetitive yarns about infernal hoedowns where the devil served up red bread and red wine. 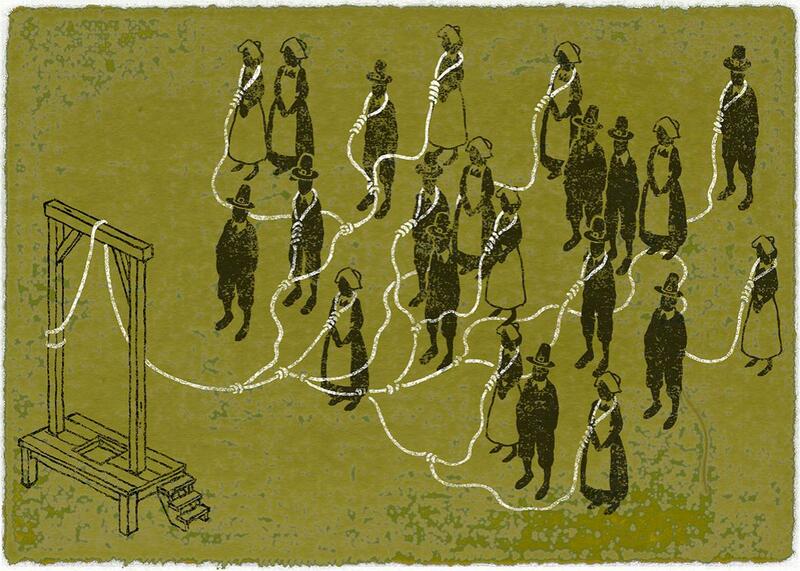 Nineteen people were hanged, and one man, a stubborn holdout who refused to register a plea in a hearing he regarded as illegitimate, was pressed to death under a gradually increased weight of stones by authorities trying to force him to comply. At least one accused witch died as the result of being imprisoned, with dozens of others, in a deplorable jail whose conditions caused one observer to liken it to “a suburb of Hell.” It’s difficult to keep all these people straight. Most lived lives of routine Puritan rectitude. Their names are vexingly similar—the record is a wilderness of Anns and Sarahs—and each is situated in a mind-boggling web of interrelationship, connected to all the others by blood, marriage, remarriage, church membership, business ties, property boundaries, trauma in the recent Indian wars, the Puritan custom of sending one’s children to live and work in other families’ households, or, in the case of the officials and ministers, Harvard. Perhaps organizing all of this into a unified, lucid narrative that makes sense to a contemporary audience is impossible, but step one might be to adopt a straightforward, meticulous style designed to help the reader stay oriented. That’s not Schiff’s game. She owes her success in part to her highly colored, dramatic, often elliptical style. “The sky over New England was crow black, pitch-black, Bible black,” she rhapsodizes at one point, and while I recently spotted a bunch of academic historians ridiculing this bit of poesy on Facebook, I rather liked it myself. Schiff wants to help her reader understand how her subjects felt hemmed in by their vast, dark, unknowable new world. But given that they didn’t understand what was going on, immersing us in their mindset isn’t going to help us understand it either. Schiff also has a habit of putting information in the opposite order in which you want it, presumably to drum up a bit of suspense. For example, she’ll introduce a new character with several sentences of description and only later reveal the person’s name, like a waiter whipping the lid off a platter. This technique works well enough when the character is, say, Julius Caesar, but when she’s just another Martha or Abigail amid a metastasizing list of Puritans, such flourishes only compound the muddle. The Witches does redeem itself toward the end, with Schiff’s handling of what few seem to realize was the most remarkable aspect of the Salem witch trials: not how the crisis started but how it ended, and how quickly. Since the 1970s, an explosion in primary-source research into local archives has overturned historians’ understanding of European witch hunts. In that context, Salem’s trials were far from extraordinary; in fact, they were a rather typical case. Most witch hunts, and certainly the bloodiest ones, occurred not in the Middle Ages but in the early modern period, when traditional ways of life felt the encroachment of social change. Most were conducted by civil rather than religious authorities; church leaders (Protestant and Catholic) often tried in vain to moderate the carnage. The preferred targets were older women—not healers and midwives, as some wishful feminist historians would have it, but quarrelsome, disagreeable neighbors whom nobody liked and who served as convenient scapegoats when a baby sickened or a hog died. (Still, a good 20 percent of those executed were men.) Once kindled, a classic witch hunt fed on the tinder of grudges and feuds, the long-harbored animosity of people who lived in close quarters with little to spare. 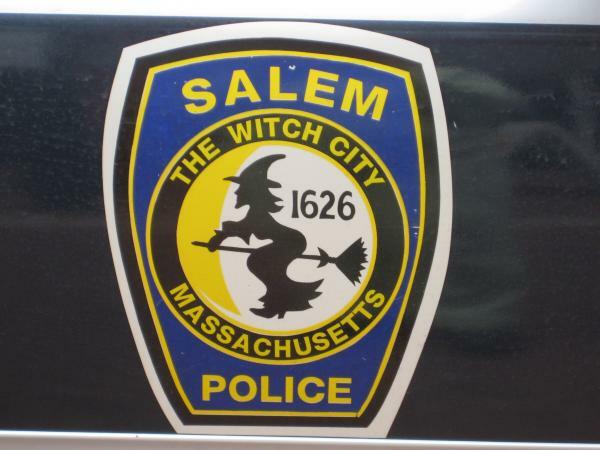 Salem’s witch panic followed most of these patterns. It took place against a backdrop of political instability and uncertainty in a colony whose borders were harried by terrifying clashes with Native Americans. Like a notorious 1675 Swedish witch hunt (much referred to by Mather), it began with fabricating and possibly hysterical children: the 9-year-old daughter and 11-year-old niece of the parson of a village on the outskirts of Salem. By the time the crisis reached its greatest frenzy, the most prolific accusers were teenage maids, some of them clearly being fed names of the enemies of their vindictive employers. The Puritans of Salem were extraordinarily fractious even by the usual small-town standards. None of this, however, would have led to such a high body count if it weren’t for William Stoughton, chief magistrate of the Court of Oyer and Terminer, a hanging judge if there ever was one. Stoughton never repented his brutal role in the witch trials. (One judge, Samuel Sewall, would issue a public apology five years later.) The first of the hangings took place in June 1692 and the last in September. He did seem so, but the sorry truth is that witch hunts in one form or another can happen in any century. Schiff makes a passing reference to the ritual satanic abuse panic of the 1980s. Several adults, many of them daycare and preschool workers, were convicted of horrific crimes solely on the basis of fantastical testimony coaxed out of small children by therapists and other officials using leading questions. No other evidence supported claims that a vast secret network of devil worshippers lay behind these alleged crimes and perpetrated similar atrocities nationwide. It all sounded very much like the conspiracy to overthrow the Massachusetts Bay Colony and claim America for the Prince of Darkness said to be behind the infestation of witches in Essex County in 1692. The inclination to turn against and purge our neighbors seems to be ever-present in human nature, a devil worth learning to recognize and battle the next time he raises his head. The Witches: Salem, 1692 by Stacy Schiff. Little, Brown.